Play Freibier!™ online for free now! Freibier!™ features up to 40 win lines on 5 reels. The slot is based on the famous Bavarian beerfest. The woman dressed in the Bavarian costume scores the highest winnings. Your aim in Freibier!™ is to line up 5 matching winning symbols on one of the pay lines that all run from left to right across the reel set. 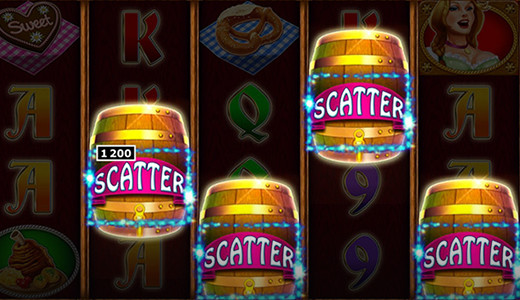 The Scatter, the beer barrel, earns you 12, 15 or 20 free games when the symbol lands 3, 4 or 5 times. The position on the reels doesn't matter. The beer mug marked "Wild" is the Wild symbol: It can substitute for all slot symbols except Scatter and increase your chances for correct symbol combos. The Wild symbol appears on the second, third and fourth reel only. Your chances for Twist winnings increase during free games: When the beer barrel (Scatter) lands on 3 or 4 reels the remaining reels spin again. In addition, there is another Wild symbol - a beer mug marked "Free Beer" which is added to reels 2, 3 and 4. Once a year the most famous beerfest in the world takes place which attracts huge crowds from all over the world to Bavaria's state capital. 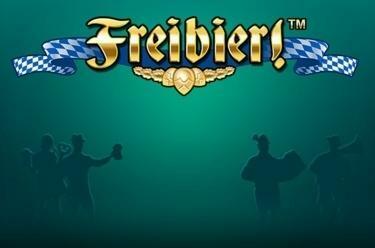 Freibier!™ spreads good cheer all year long so you can chill out: The slot presents culinary delights like pretzels, gingerbread hearts and pork knuckles as well as beer that is served frequently during free games!